If ever there was a gun that has had a history comparable to a roller coaster ride, it’s the 10mm pistol. One of the fathers of the 10mm is Colonel Jeff Cooper, a marine, firearms instructor, and a 1911 enthusiast. Looking to improve on the .45 ACP cartridge, Col Cooper enlisted the help of gun manufacturers Dornaus & Dixon to come up with a dedicated 10mm pistol. This is a powerful caliber that is able to maintain accuracy beyond 50 yards. And, it can reach velocities of 1200 feet per second. Despite its power, the 10mm pistol failed to gain the popularity that its creators had hoped it would gain. An opportunity to showcase the power and superiority of the 10mm pistol came in the wake of the 1986 FBI massacre. It is when the FBI was looking to increase their firepower after the 9mm and .38 Special +P revolvers failed to provide adequate firepower in the Miami incident. Incidentally, Colt released their Colt Elite in that same period, 1987 to be exact, and things began looking up for the 10mm pistol. Sadly though, the FBI later dropped the 10mm pistol due to some challenges. The major one being that agents were failing to handle its powerful recoil and thus their accuracy was compromised. 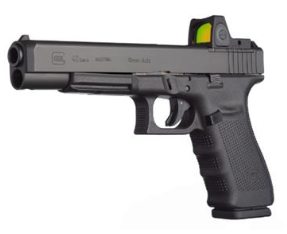 Its popularity greatly decreased after this and it could have well suffered a lethal blow to the head had it not been for Glock releasing their popular 10mm pistol, the Glock 20. Despite its massive firepower, the 10mm pistol has failed to achieve the respect and popularity it certainly deserves. But, as its history is comparable to a roller coaster ride, it seems it has reached an uphill gradient again as more and more people are beginning to appreciate its qualities and adding it to their gun collections. Perhaps you are one of those who is looking around for one of the best 10mm pistols on the market. If so, you have just happened upon the right web page as I will be discussing some of the best 10mm pistols out there. 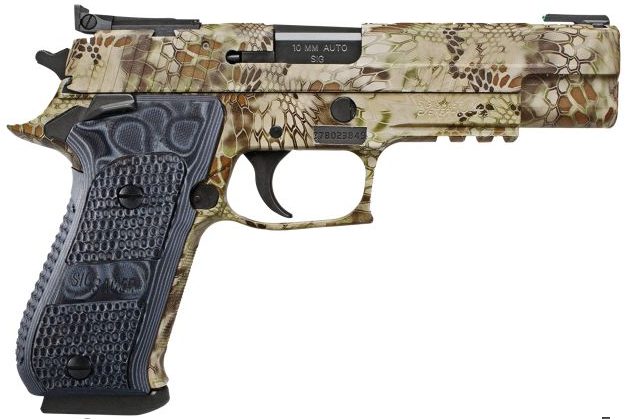 If you are on the hunt for a great 10mm pistol, be sure to look at these great pieces below. 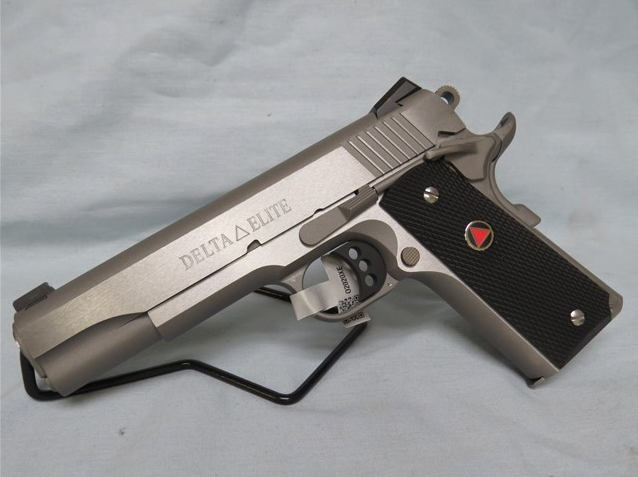 You can’t talk about the best 10mm pistols without talking about the Colt Delta Elite. Not only because of the great role it played in keeping the 10mm pistol’s legacy going but because it is actually a very good gun. The Colt Delta Elite 10mm pistol blow many of its competitors in the 10mm pistol category away because it is a high powered handgun. It serves many purposes like home defense and medium-sized game hunting. The Colt Delta Elite comes with Novak sights, an enhanced hammer, a lowered ejection port, and many other innovative features. The mentioned features make it one of the best 10mm pistols you will find. This affordable (as compared to other pistols in the same category) gun is backed up by a reputable company with superb engineering prowess. Sporting a vintage 1911 look and feel, the Rock Island Armory Rock Ultra MS 10mm pistol is definitely a stunner. This 10mm pistol’s design is a pure work of art but also has its practical advantages. Its advantages include reducing holster snag and providing a very comfortable fit in your hands. The Rock Ultra MS is one of those sturdy guns that gives you the sturdy feel that only full metal guns can give, adding to its allure. Unloaded, the Rock Island Armory Rock Ultra MS weighs a hefty 37.76oz that you’ll definitely acknowledge when you’re wielding this beauty of a pistol. As for performance, the RIA Rock Ultra MS can hold its own among its counterparts, despite it being among one of the cheapest 10mm pistols. 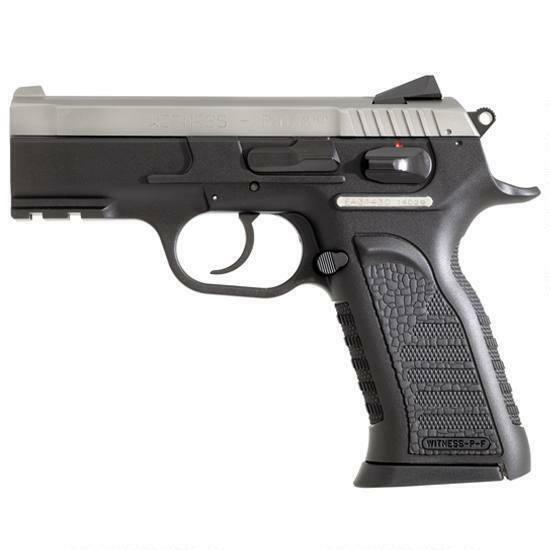 If you are looking for a premium 10mm pistol, perhaps this offers from Sig is what you need. The Sig Sauer P220 Hunter is Sig’s 10mm pistol version of their P220 line of handguns. With the Sig Sauer P220 Hunter, you are guaranteed reliability, accuracy, and a very dependable 10mm pistol. No wonder the US Army also rely on it as part of their close quarter combat issues. If ever there is a handgun that has both beauty and brawn working in its favor, it’s the Sig Sauer P220 Hunter. The gun’s exquisite design, Kryptek camo finish, and solid stainless steel slide and frame are mesmerizing, to say the least. But weighing a massive 40oz, the P220 Hunter is one handgun that you’ll have to consider twice about carrying it about on your person. Unlike the Sig Sauer P220 Hunter, the asking price for the EAA Witness P Carry comes with a friendlier price tag. But that’s not all that’s good about this 10mm pistol. For one, this 10mm pistol packs more rounds than most 10mm’s as it features a 15 round magazine. The EAA Witness P Carry has another advantage of having a low profile, making it one of the best conceal carry 10mm pistols. It also comes with a one-piece full-size polymer grip, an automatic firing pin block, a stainless steel slide, and snag resistant sights. This is a real bargain 10mm pistol, especially with its bonus advantage of being good looking. If ever there is a gun that has become synonymous with concealed carry or self-defense, it’s the Glock. Coming in many different variations and in all sizes, it has become ubiquitous. In 1990, Glock, the Austrian company responsible for the guns that carry their name introduced a 10mm pistol in the form of the Glock 20. This is a full-size handgun that comes with a magazine that has a carrying capacity of 15 rounds – something many guns can’t boast of. The Glock 20 also comes in a short frame version for those with small hands, making the big 10mm pistol available to everyone. And weighing in at 27.68oz, it’s a big gun. But, it is lighter than other 10mm pistols like the huge Sig Sauer P200 Hunter. It has far less recoil too, making it a fan of many 10mm enthusiasts. You can never find such a great balance of affordability, reliability, and great firepower in any other 10mm pistol. It’s no wonder it is a very popular gun. This is another pistol that was instrumental in keeping the 10mm in the game. The Smith and Wesson 1006 family and the Colt Delta Elite surely deserve a place in the firearms hall of fame. We’ve already seen what the Colt Delta Elite is all about, let’s see what the Smith and Wesson is really made of. The Smith and Wesson 1006 features an all stainless steel construction, a 5-inch barrel, and a 9 round magazine. With only 26 978 units produced, this is now becoming more of a collector’s item. More especially, the other members of the family (1026, 1046, 1066, 1076, and 1086). The Smith and Wesson 1006 is one gun that was built like a tank, and its performance can be compared to one too as it packs one hell of a punch. 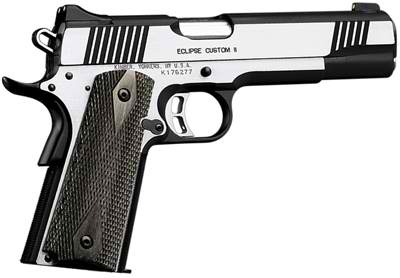 The Kimber Eclipse Custom 2 is a 1911 10mm pistol that is designed to turn heads. Beautifully crafted and featuring two color tones and boasting off stainless steel match-grade barrels and bushings. 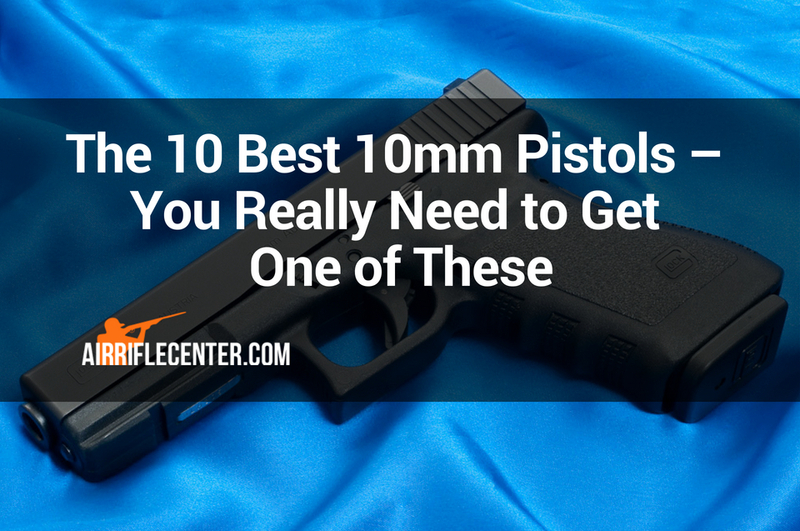 It’s definitely one 10mm pistol you should consider adding to your collection. It comes with full-size grips, a high-ride beavertail grip safety, and an extended thumb safety. One of the Kimber Eclipse Custom 2’s biggest advantages is that it has one of the most supported barrels in the 10mm pistol category, making it able to carry heavy loads without breaking a sweat. This is one 10mm pistol that has surprised many by its durability and reliability – no one thought a Kimber could be this good. 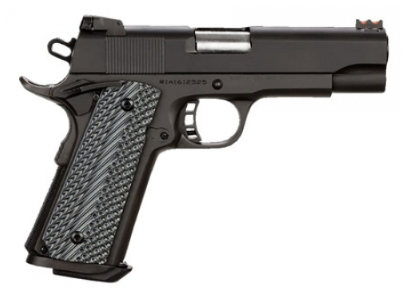 The Para Elite LS Hunter is a well-built 1911 platform 10mm pistol. It comes with a 6” match-grade ramped barrel, a full-length steel guide rod, and VZ Operator G-10 grips that provide great grip and are very pleasing to the eye. The magazine well is also well made as it is slightly beveled to ease magazine insertion, making it easier for you to load on the fly. As for the frame and slide, they are made of stainless steel that is beautifully finished in Para’s special Ionbond PVD finish. The frame has an ambidextrous safety and a standard beavertail grip safety, making it a great gun for everyone. 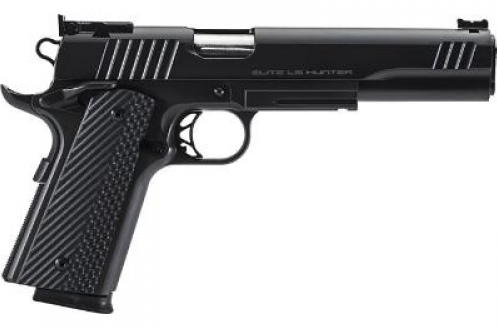 Because of the extended barrel, the Para Elite LS Hunter is one of the 10mm pistols that are easy to shoot accurately. With its price, you have to expect flawless performance, and that’s exactly what the Para Elite LS Hunter delivers. Because the Glock is such an amazing gun, I think it’s only fitting that 2 of them make the list of top 10 10mm pistols. 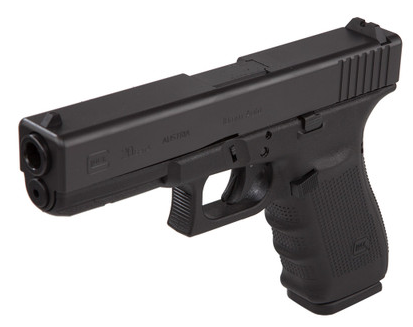 The Glock 40 is one of Glock’s fourth generation guns, and being a fourth gen Glock, all you can expect from this 10mm pistol is power, performance, and perfection. Because it comes with a 10mm barrel, the Glock 40 packs a punch powerful enough to bring down a boar, making it great for sports, hunting, and self-defense. Don’t worry about recoil though, as this Gen4 10mm comes with a dual recoil spring to reduce the most feared aspect of 10mm pistols – the recoil. But don’t let it’s big size fool you either, the Glock 40 is not as heavy as it looks. Thanks to its polymer made frame that gives it a reasonable weight of 28.15oz unloaded. We all have our reasons for buying a gun. 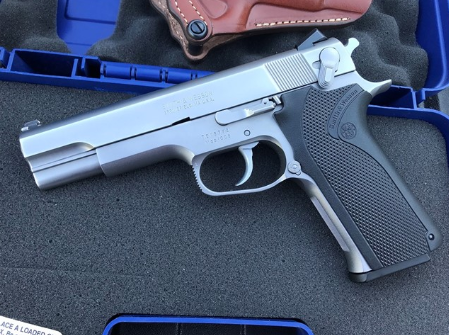 If one of your reasons hinges on vanity (admit it, you just like nice things, we all do.It’s just that others can’t admit it), then the Wilson Combat Classic 10mm pistol is just for you. 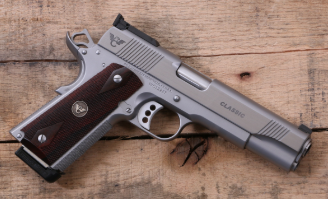 The Wilson Combat Classic is the most beautiful 10mm pistol you will ever find. Featuring a classic brown wood grip on a platinum silver body that houses all the bells and whistles you can hope to find in a gun. When it comes to performance, this is one of the best performing 10mms on the market due to its exceptional engineering. I mean, with a price that high, it has to make sure it proves its worth. And prove its worth it does, in every way. This top 10 list of the best 10mm pistols has given you different types of 10mm pistols that all have their advantages in different situations. It’s now up to you to select which one will be joined to your hip. Whichever one you select, one thing is certain though, you’ll definitely enjoy firing it at the range. 6.5 Grendel vs 6.5 Creedmoor: Which Is Better?